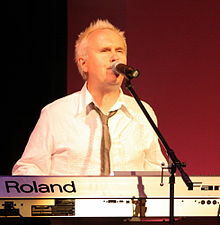 Howard Jones will perform in concert at Epcot in Disney World November 3rd and November 4th, 2012. Click here for details about the Epcot Food and Wine Festival. Show times are 5:15pm, 6:30pm, 7:45pm. This entry was posted in Concert and tagged Disney World, Pop on May 10, 2012 by Orlando Concert Guide Staff.